This is the view from 600 yards. The 1000-yard firing line is fully covered and shaded. With blustery weather and moderate chance of rain predicted, it will be interesting to see how the 6mm Dasher aces like Richard Schatz do in tough conditions. This could be the weekend to shoot a big boomer in both classes. Past 1K NBRSA Champ Jerry Tierney will be there with his straight .284 Win. He is working on a 7mm RSAUM, but it isn’t ready for the event. 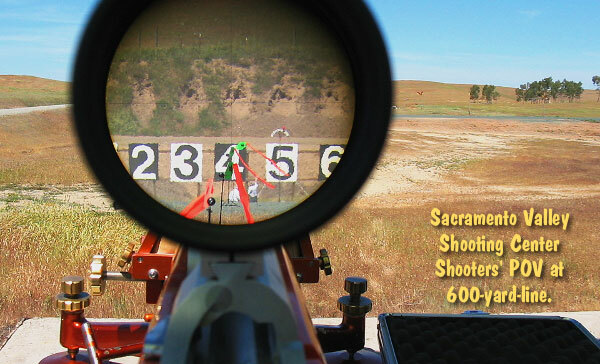 Share the post "NBRSA 1000-Yard Nationals This Weekend in Sacramento"
GunUp.com, a new website for gun enthusiasts, launched this week. The new site is thin on content at this stage, but it has the potential to be an interesting resource. GunUp’s home page features a “Gun of the Day”, plus posts from popular blogs such as Gunnuts and Guns, Holsters, and Gear. Currently, the main attraction of GunUp.com is a huge, searchable database of pistols, rifles, and shotguns. On the site’s Research page, you’ll find photos and specs for thousands of firearms. You can search by manufacturer, caliber, action type, price, weight, and barrel length. If you’re shopping for a handgun, shotgun, or factory rifle, this can be a real time-saver. Using the pull-down search menus, in a matter of seconds we located data for the Savage 6.5-284 F-Class rifle. That was impressive. However, the choice of calibers needs to be expanded. There is no entry for 6mmBR, or 6.5 Grendel, for example. And you won’t find any listings for boutique rifle-makers such as Cooper Firearms, or even McMillan. But if you’re looking for a mainstream caliber from a big-name manufacturer such as Bushmaster, Marlin, Remington, Ruger and Savage, you’ll find the database very useful. With just a couple clicks you can comparison shop among thousands of different firearms. GunUp.com invites readers to register. This gives readers access to “real-time” gun pricing, and the enhanced “Gunfinder” search tools. In addition, GunUp.com members can participate in discussions about various guns, or follow site updates via Twitter and Facebook. With so many gun forums already on the internet, we question the need for yet another venue to discuss “9mm vs. .45acp” ad nauseum, but we still think GunUp.com could be a popular site in the future. It has a sophisticated “back-end” database that allows the reader to access huge amounts of information quickly, and it’s nice to see highlights of multiple blogs collected in one location. Share the post "New GunUp.com Website Features Big Firearms Database"
The International Hunter Education Association (IHEA) has launched a new web-based training program for Hunter Education Instructors. The IHEA-approved online curriculum, developed in partnership with Remington Outdoor Foundation, features lessons designed to enhance teaching skills using animation, photos, video and narration offering expert advice. To take the course as an individual and help uphold the future of hunting, visit www.IHEAtraining.com. This 90-minute, multi-media training program is available for $25/person. For an additional $5 you also can receive a discounted one-year membership to IHEA and help support safe and responsible hunting. This is a one-time offer for new members only. Share the post "IHEA Now Offers Online Classes for Hunter Ed Instructors"